David Bergers spent more than a decade on the other side of the table from public companies’ attorneys when he was with the Securities and Exchange Commission. But the tables will turn next month when Bergers joins Jones Day, one of the country’s biggest law firms. Bergers is best known in Boston for running the SEC’s Boston office for seven years, from 2006 through 2013. 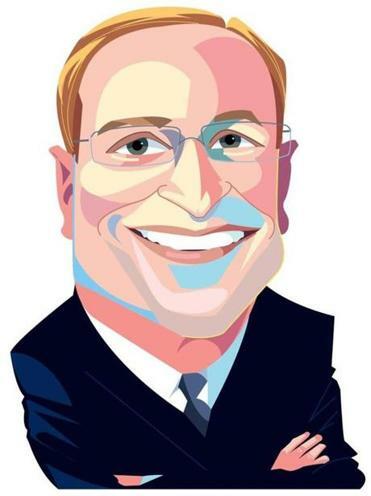 He most recently spent four years as general counsel at LPL Financial, the Boston-based brokerage network. But now he’ll represent not just one business but many clients, as a partner at Jones Day’s Boston office, advising on a range of regulatory and governance issues. The South Shore resident said he was drawn by the opportunity to work for one of the world’s largest law firms — Jones Day has more than 2,500 lawyers — while staying in Boston. The firm has attracted several former SEC colleagues of his in other cities, including Joan McKown and David Woodcock. During his time at the SEC, Bergers helped write rules for the Dodd-Frank Act, the reform law passed in the wake of the Great Recession to curb financial sector abuses. For local partner-in-charge Traci Lovitt, recruiting Bergers represents a big win as she works to expand the Boston office she opened in 2011. About 40 lawyers work there now, but she’s looking to increase that number. It was the late 1990s, and Jonathan Spack, a well-known name in nonprofit consulting, began receiving phone calls from people looking for Jonathan Spack. The other Jonathan Spack, it turned out, was a recent college graduate working for the nonprofit Citizen Schools. The elder Spack, chief executive of the consulting firm Third Sector New England Inc., invited the younger to meet in his office’s conference room named for, you guessed it, Jonathan Spack. Fast forward to 2017. Jonathan Spack the elder, now 71, is newly retired after 34 years as the chief executive of TSNE Inc. And he recently became a board member at Discovering Justice, a nonprofit that helps youth better understand the court system. It’s executive director? Jonathan Spack. As the head of the nonprofit Building Impact, Bridget Akinc works with companies to coordinate days of service for their staffers. She’s been increasingly busy of late — a good thing, she said — as more companies look to build camaraderie among their teams while also giving back. But one constant with corporate days of service tends to be that they’re scattershot: Because so many nonprofits are small, they can’t handle massive groups of volunteers. So typically, one team heads over to paint a gym, while others may tutor kids or plant a garden. It’s valuable work, but it can be a bit disjointed when it comes to mission, other than merely doing good. So Akinc was inspired when she got a call from TripAdvisor earlier this year. Last September, CEO Stephen Kaufer announced that the company would commit $5 million in donations and in-kind aid to refugee organizations working with immigrant communities affected by violence. Now, as part of a commitment to help their staffers become better global citizens, they wanted to create an agenda for their corporate day of service that shared the same ideals. The result, taking place on Tuesday, World Refugee Day, is that 660 TripAdvisor staffers from around the world will take on service projects with refugees in mind. Teams will help build a playground for an emergency shelter where immigrant families go when they’re facing violence. They’ll help build bikes for adult workers who can’t afford cars and need to pedal to their new jobs. Volunteers will be making welcome kits for the waiting room of a pediatric pulmonary clinic in Worcester, offering parents and kids calming educational activities in Spanish, Arabic, Mandarin, and English to help them de-stress before seeing a doctor. There aren’t many companies in town that get to celebrate their birthday with Huey Lewis and The News. The rock band joins legendary Boston group The Stompers on Tuesday tonight at the House of Blues for the 10th anniversary of Dirty Water Media. The venture is best known for producing its eponymous half-hour lifestyle show that airs on NESN every Saturday and Sunday night. (Globe owner John Henry is a part owner in NESN, through Fenway Sports Group.) Bill Fairweather first proposed the idea to Jimmy Clark over a meal at the Union Oyster House in 2006. They were both veteran TV producers at the time. Fairweather is also plugged into the city’s night scene: He owns the Greatest Bar, on Friend Street. The partners — Howl at the Moon owner S.J. Torres is also on board — find ads for the show and pay NESN for the airtime. Most spots are filmed on location, although the Greatest Bar has doubled as a makeshift studio. “We took a shot and it worked,” Fairweather said.